Linda Rizzo, a 58-year-old retiree, had been undergoing four years of dental treatment with Dr. Kay for which she had paid $36,000. Post its completion, she filed a lawsuit against the dentist claiming that he had inserted upper and lower bridges that did not fit, which had ultimately resulted in permanent residual injuries of her jaw and gums. Dr. Kay was adjudged negligent and Rizzo was awarded a sum of $450,000 for suffering pain and as damages. Rizzo's case is just one of many dental malpractice cases that have happened throughout the years. In fact, according to the National Practitioner Data Bank, one out of every seven medical malpractice cases directly involved a dental professional in 2006. Dental negligence can lead to long-term complications and can cause pain for a lifetime. You don't want to endure such suffering. It is, therefore, crucial that you're extremely careful about the quality of care you're receiving from your dentist. The dentist should perform his/her duty to perfection, provide you with the best possible dental care, and act in your best interests. But, there have been several cases where dentists have put their patient's health at risk for personal gain or by being negligent. Dental malpractice can result in severe consequences. Knowing the varied aspects related to this form of medical malpractice will help you take steps in the right direction. Here are the four most crucial aspects related to dental malpractice you need to know about. 1. What Is Dental Malpractice? It need not be said that the healthcare professional needs to provide you with the acceptable standard of dental care. Apart from this, he/she cannot provide you with any additional services that are beyond your informed consent. The treatment provided to you should not exceed the consent that you have already given to your oral health care practitioner. Failure to adhere to this aspect by the practitioner may make you eligible for filing a dental malpractice lawsuit. 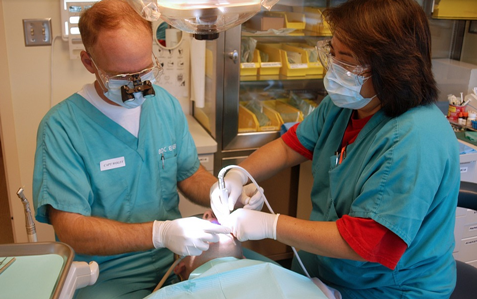 In order to have a dental malpractice claim, a patient should be able to prove that the dentist either unintentionally failed to provide the acceptable standard of care or the dentist intentionally committed an act that no other qualified and reasonable oral health care provider would have committed when dealing with a similar situation. Also remember, dissatisfaction with the result of the dentist's services doesn't give you the ground to sue. Dental malpractice suits can be brought against practitioners only when they fail to uphold the acceptable standard of care, or when they provide treatment that exceeds your informed consent. More importantly, you need to prove that the dental professional's incompetence/negligence caused your injury. You can spare yourself the nightmare in the first place by opting for a dentist who is qualified, experienced and highly-reputed. Going for the first dentist that you come across without checking his/her credentials can be very risky. It is, therefore, essential that you take substantial time when choosing a dentist. Doing so will spare you a lot of trouble in the future. Talk to your friends, colleagues, friends, and family for recommendations based on their experiences. You can also find dentists practicing in a particular area by searching online. There you can see unbiased reviews and opinions on each dentist in your region. For instance, if you're suffering from a gum problem and want to find a Periodontist in Pittsburgh, you can enter Periodontist Pittsburgh into the search engine. This will provide you with a list of relevant results of local Periodontists in Pittsburgh with reviews from actual patients. Be sure to work with a skilled dentist that has the experience and skills to address what might be ailing you. Even a slight mistake on their part can leave you with a lifetime of dental trouble. Most dentists provide their patients with care and treatment of the highest standards, but there can be times when a few of them become negligent and not provide optimum service to their patients.